Teenage Bike Rider in Critical Condition after Bicycle Accident Near Brooklyn, NY Playground - Dupee & Monroe P.C. On August 3, a 13-year-old boy was hit by an SUV near a Brooklyn playground. He is now in critical condition. According to police sources and witnesses, he was struck by a white 2006 Ford Explorer outside Linwood Playground near Hegeman Avenue in East New York. Emergency responders took the victim to Maimonides Medical Center, where he is listed in critical condition with injuries including internal bleeding. At this time, the driver has not been charged with a crime. For us, a few points came to mind after reading about this motor vehicle-bike accident and injury. 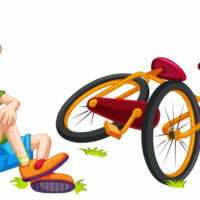 First is the frequent failure of motor vehicle drivers to watch out for bicyclists and pedestrians, even near playgrounds and in residential areas. Second, parents often wonder how to go about securing compensation for an injured child. A child under 18 generally cannot file legal action on his or her own behalf, so it’s up to the child’s parent or legal guardian to help the child obtain legal representation and file a personal injury claim to recover fair compensation for medical treatment, loss of future income and earning capacity, pain and suffering, and emotional distress. At Dupée & Monroe, P.C., we provide compassionate legal counsel to families affected by a child’s personal injury. Finally, many personal injury victims wonder if they can make a claim for compensation if the person who caused the injury hasn’t been charged with a crime. The answer is yes. Most personal injury claims are based on negligence, not criminal wrongdoing. In the accident at hand, the driver may not have been speeding or disobeying any other traffic laws, but she should have been driving with care and caution, with an eye out for perceivable hazards—such as a teenager on a bike near a playground. If you or a family member has been injured in an accident in New York City or the Hudson Valley, get the legal help you need by talking to an experienced personal injury attorney. Dupée & Monroe, P.C. has offices in Goshen and Manhattan, and if you or your family member is recovering at home or in the hospital, one of our New York personal injury lawyers will come to you.